Located just about 27 miles north(ish) of the desert oasis of Palm Springs, lies the quaint little town of Yucca Valley- a gateway to Joshua Tree National Park. 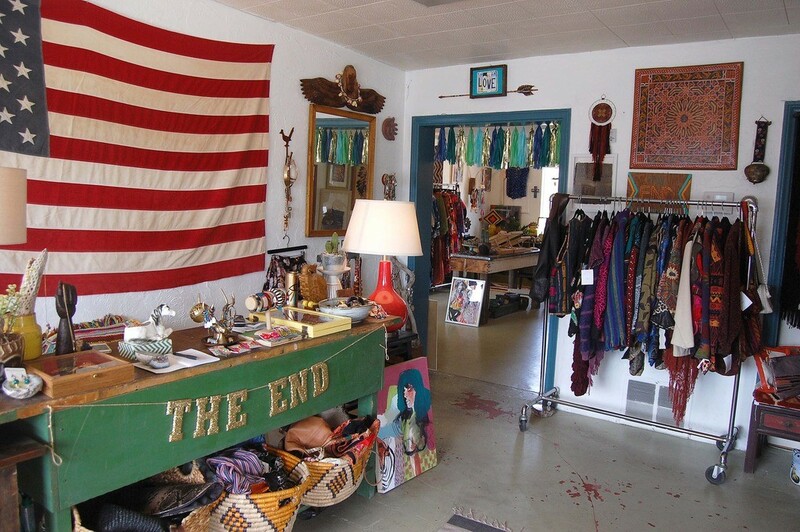 Yucca Valley is home to the famed Pioneer Town, as well as numerous little coffee shops and antique and vintage shops; one in particular being- The End. The End is nestled along the busy 29 Palms Highway and due to its bright exterior, is not hard to miss. 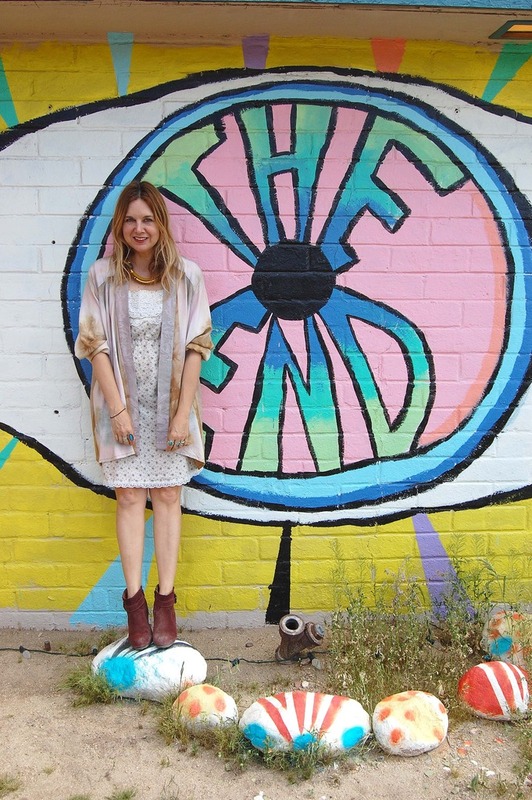 Kime Buzzelli- Hosford is the creative brains behind The End and has always loved running a shop and having a creative connection to a community. She has always loved pieces that will “trick out” the wardrobe or tell a story… it’s like if you have on a simple dress, but then add that one necklace or hat that makes you feel different. Through-out her innovative career, the Ohio native had had two shops (The Blue Piano for two years in Ohio and Show Pony for nine years in LA) and has worked as a costume designer on such shows as: 90210 and Bad Teacher. She has always enjoyed working with stylists and being able to dress a list of characters as well as re-designing pieces was just a tip of the iceberg. When she and her husband bought a house in Yucca Valley in 2011, she stumbled upon a vacant old building that used to be a hair salon. Imagining all the women chatting away when the salon was open, it didn’t take long before she said “yes” to buying the building. She worked on the shop for a year, transforming it to what it is today. The End opened in July 2012. The shop is literally a feast of the senses. In 2013, she commissioned a local artist to paint the exterior of the shop, along with the now-famous (and highly photographed) murals on the side of the building. 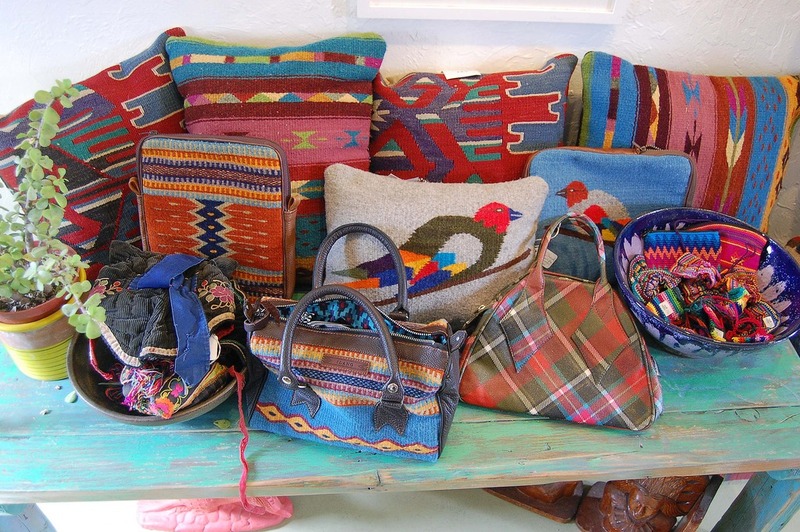 Kime’s eclectic taste is everywhere, ranging from the colorful prints and textiles to the statement jewelry and accessories. 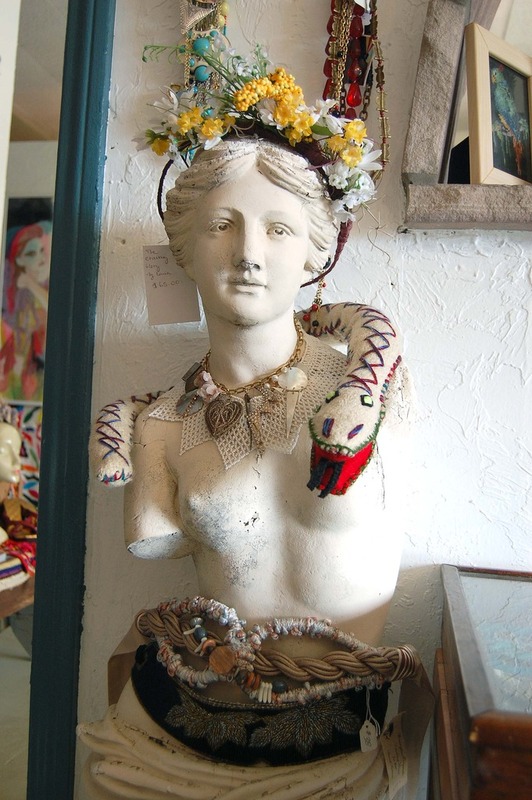 She’s gotten in some wild pieces during her few years of being open, such as: crazy good macrame wall hangings, a monkey fur cape and a piece of Salvador Dali luggage that he created in homage to Gala. 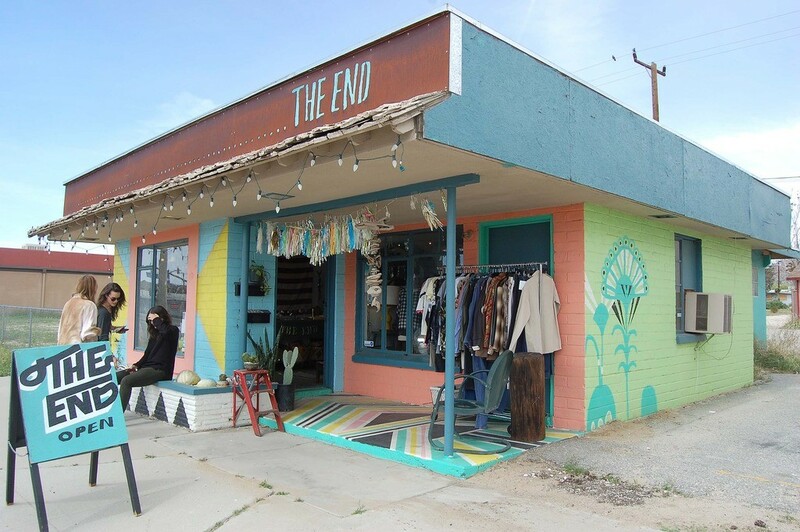 The End is a place that inspires, both in a sense of fashion and decor. I feel that you will find something for everyone in your life, while not breaking the bank. 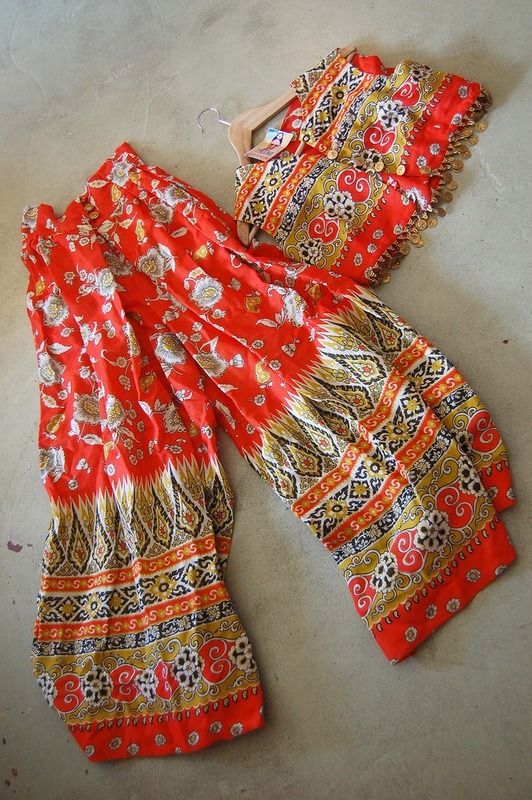 I found an AHmazing 70s bright printed palazzo pant and crop top with dangling coins outfit for under $100. The outfit used to belong to Kime’s friend’s Mother, who was a glamorous Palm Springs gal that traveled the world. So if you are ever out that way, plan a visit to Joshua Tree, Pioneer Town (with lunch or dinner at Pappy & Harriet’s) and be sure to visit The End. 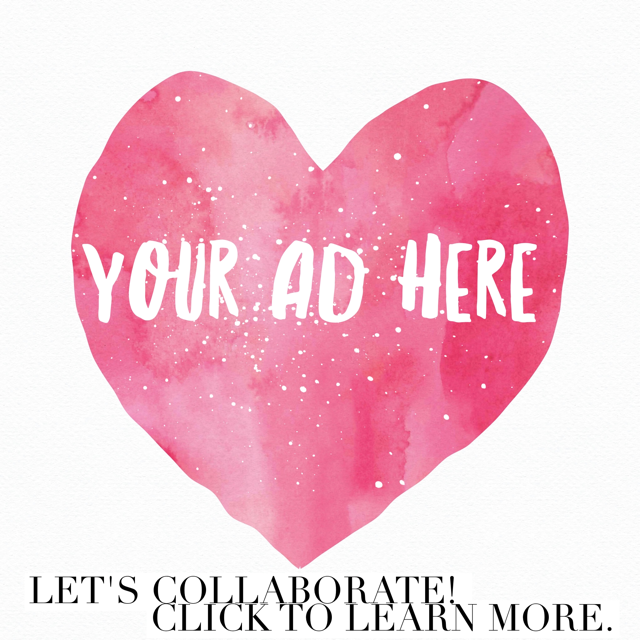 You’ll never know what you may find or maybe you’ll be inspired to create the next big thing in fashion or re-decorate your space. Be sure to check out The End on Tumblr and Facebook! 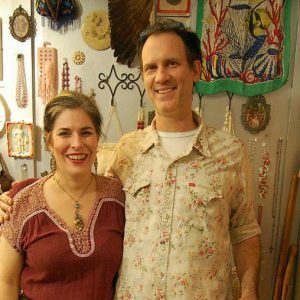 This entry was posted in Fashion and tagged California, Kime Buzzelli, shopping, The End, vintage, Vintage Shopping, Yucca Valley. Hi all! 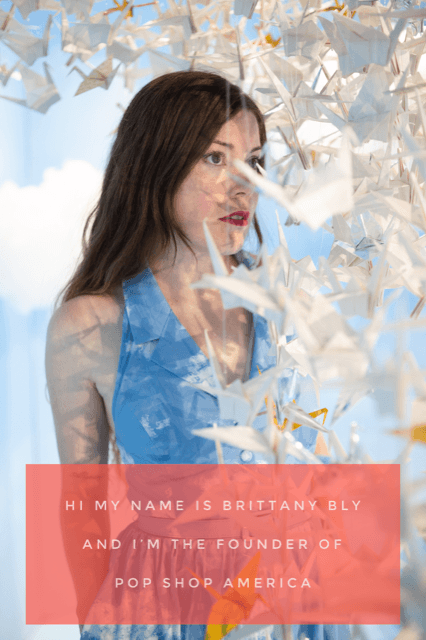 I'm Heather and I love being creative. 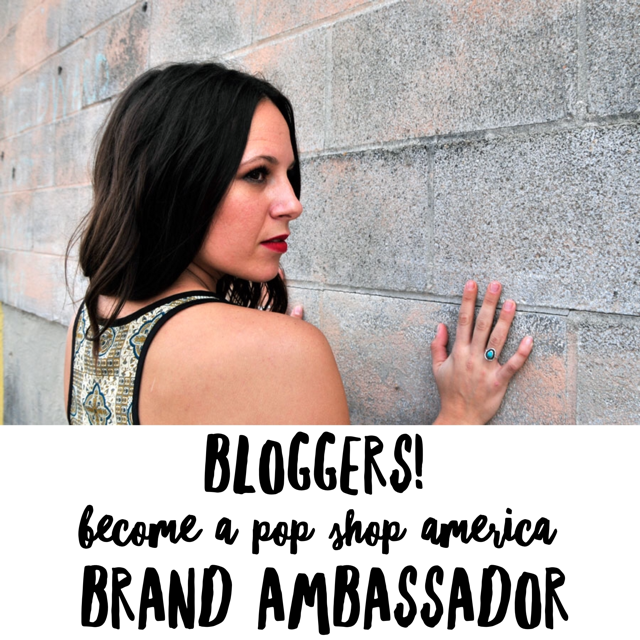 I enjoy traveling, photography, writing and have an INTENSE obsession with anything vintage. Oh vintage shops are just the best! 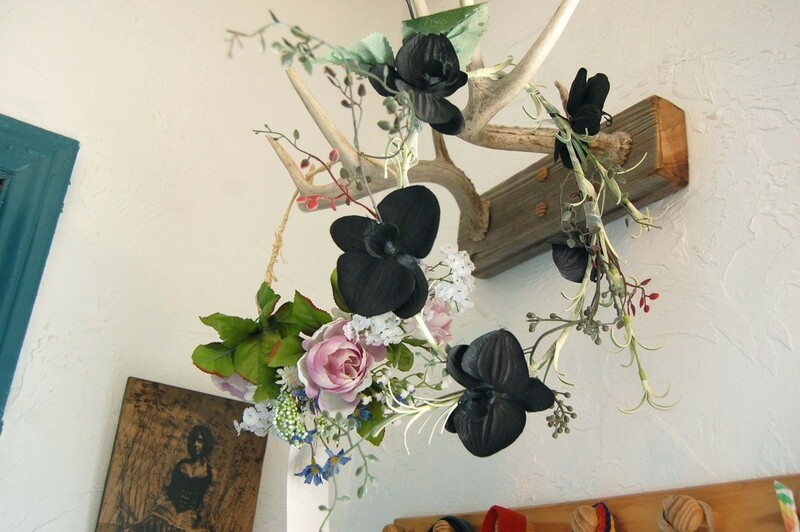 Love the antlers with flowers! What a cool shop. It looks like so much fun! It looks like a wonderful, creative lace to hang out and shop … Joshua Tree is an amazing national park.